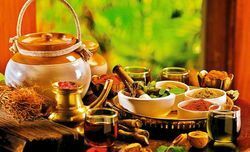 Our company is offering Ayurvedic Herbal Capsules to our valuable clients. 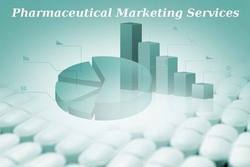 In conformity with the concert of international quality standards, the offered capsule is processed using high quality natural ingredients and advanced processing technology. 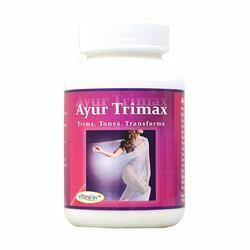 AYUR TRIMAX" is the natural way of removing excess fats. AYUR TRIMAX’s 100% natural ingredients interact with the body's Natural process of metabolism, preventing the fats from absorbing in the tissues. Whether the individual is obese or just slightly overweight, "AYUR TRIMAX” helps one achieve optimal weight when coupled with exercise and balanced calorie controlled Healthy diet. "AYUR TRIMAX” gently detoxifies the body, helps to over come sweet cravings. Addictions to sugar may be tempered, as the body receives the deeper nourishment it needs from proper absorption and assimilation of nutrients. Pearl Oyster Shell, Coral, Conch Shell, Cowrie, Shatavari, Pearl, Indian Tinospora, Phyllanthus, Hemidesmus Indicus, Heart-leaf Sida, Lemon, Amla. Also contains 318 mg of Calcium (as Calcium carbonate) per serving. Arthritis, Joint Pain and Inflammation. Pain in bones and body. Hypocalcaemia is indicated by a low level of calcium in the blood. Your nerves and muscles may spasm or twitch. Muscle cramps in your legs or your arms. Raising calcium levels in people who have low calcium. Reducing phosphate levels in people with kidney disease. Relief from acute pain and irritation. Relief from arthritis and hypocalcaemia. Relief from muscle cramps and joint pain. Complete feeling of well being. 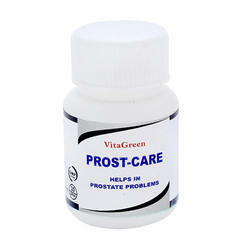 Prost-care is a natural formulation which supports total male genito-urinary tract. It also support healthy prostate size. it assists in proper flow of urine by clearing the pathway of urination. It manage benign prostatic hyperplasia (BPH) and also reduces the symptoms of BPH. It helps support healthy prostate size. A yellowish tinge to the skin, eyes and palms. Abnormal weight loss and weakness. Digestive problem, fatty liver , anorexia. Reflux, deficit of fat soluble vitamins. Chronic constipation& Irregular bowel moments. Detoxify , cleanse and maintain lever health. Normalise physical appearance of skin. Its hepato protective and restores liver function. 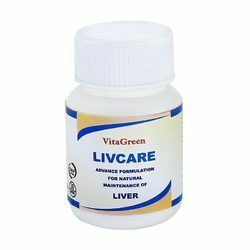 It rejuvenates the liver function and protect the liver condition. Aids recovery from viral hepatitis. Helps regularise bowel movement and eliminate constipation. Maintain Healthy Skin and checks pimples and hair fall. Inhibits and reduces free radical damages. Acidity, Gas, ulcer in mouth. Flatulence increasing absorption of nutrients. Immune system from parasites, worms. Speed healing of the intestinal tract. Effective in Spastic Stages of G.I. Tract. 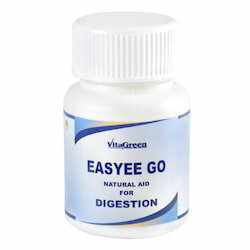 Relieves Distress, Discomfort and Distension Corrects Gastric Secretion.